From Gretna Green, visit Lochmaben Castle and stop at Ruthwell to see the impressive Cross. Explore Caerlaveroch Castle and the historic market town of Dumfries. Head to Southerness Lighthouse enjoying Solway Firth and Nith Valley, pausing at Sweetheart Abbey en route. 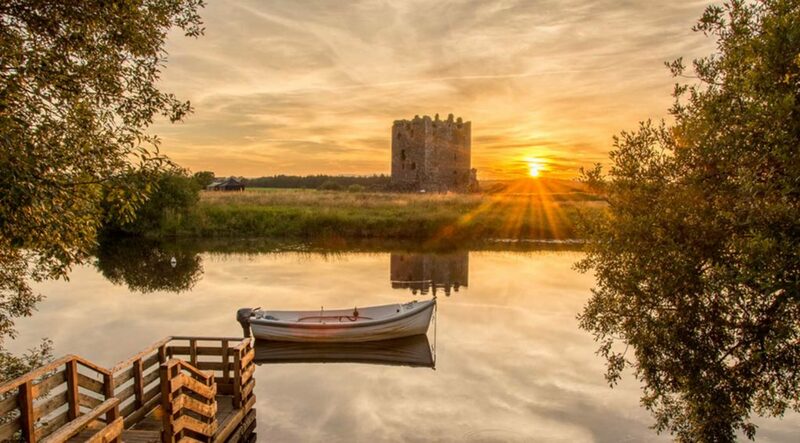 Visit Threave Castle before ending at Dundrennan Abbey. Starting in the middle of the 18th century it was possible to marry over 18 in Scotland whereas the marital age was 21 in England. This small village, on the border became the place to arrange a quick marriage. 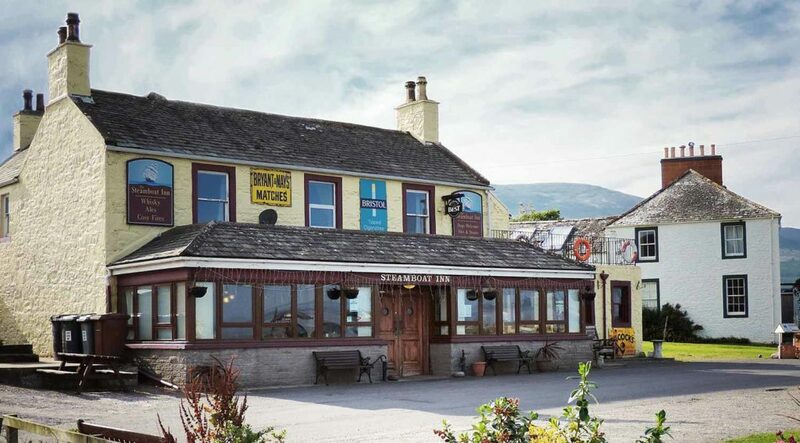 Over the years, the famous Blacksmiths Shop became Gretna Green's best-known marriage venue. On the banks of Castle Loch, there are impressive castle ruins, constructed in the 12th-century, with imposing defensive walls & a moat. The castle was captured by Robert the Bruce in 1306 before being retaken by the English, then surrendered back to the Scots after the Battle of Bannockburn in 1314. The Ruthwell Cross is a stone Anglo-Saxon cross probably dating from the 8th century. It is the most famous and elaborate Anglo-Saxon monumental sculpture, and possibly the oldest surviving "text", predating any manuscripts. It has been described by Pevsner as "The crosses of Bewcastle and Ruthwell ... are the greatest achievement of their date in the whole of Europe”. Caerlaverock Castle is a moated triangular castle first built in the 13th century. A wide moat, red bricked twin-towered gatehouse and lofty battlements make Caerlaverock the epitome of the medieval stronghold. 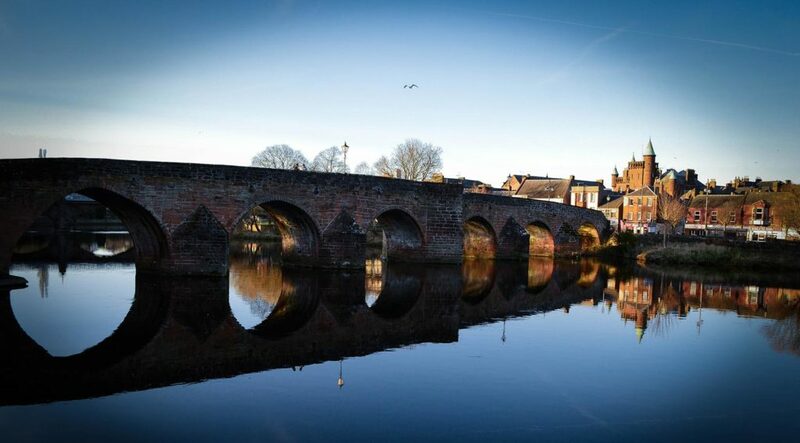 Known, like its football club, as "Queen of the South", this is an ancient town founded as a Royal Burgh in 1186 at the lowest crossing point of the River Nith, the ‘Devorgilla Bridge’. Robert Burns is buried here. 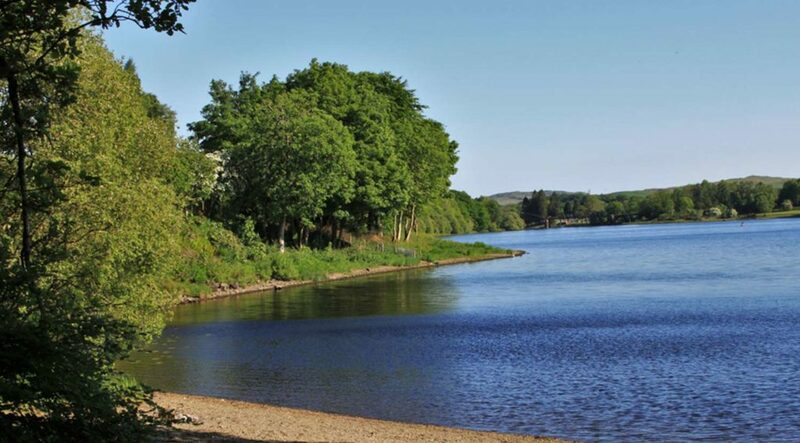 A great place to explore the National Scenic Area of the Nith estuary and visit the twelve apostle stone circle. The romantic abbey is enclosed by an impressive precinct wall - a walk of massive granite boulders, ranking as one of the most complete in Scotland - and despite border wars, it stands remarkably complete, in a beautiful setting nestled between the grey bulk of Criffel Hill and the sparkling waters of the Solway Firth. 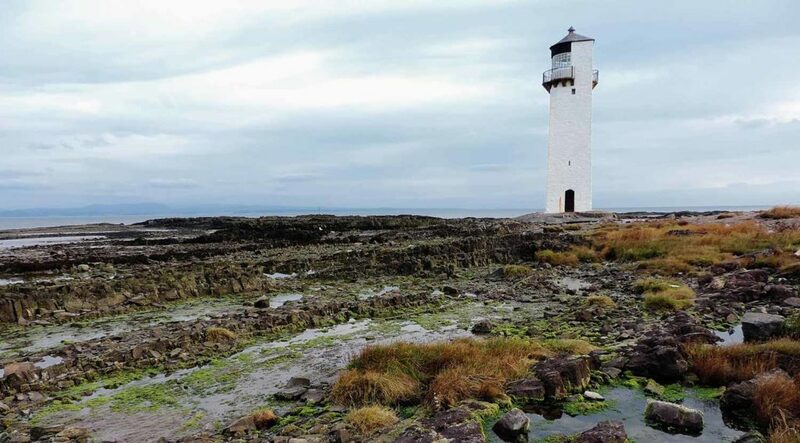 One of the oldest lighthouses in Scotland it sits on Southerness Point, which extends 10 miles into the Solway Firth. Surrounded by the sea at high tide, this square structure was built as a marker in 1749 on the instructions of Dumfries Town Council who wished to ensure safe passage of ships entering the Nith Estuary. Situated on an island in the middle of the River Dee, this formidable castle is only reachable by boat. The massive tower house was built in the late 14th century and was the stronghold of the Black Douglases. Nearby Threave Garden and Estate is also worth visiting. 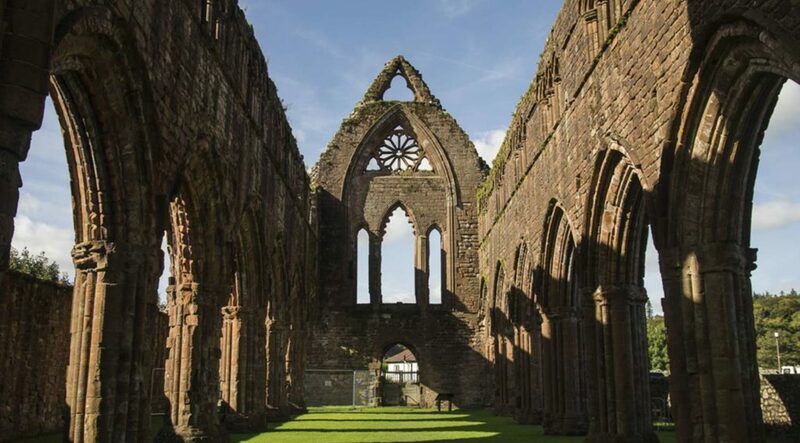 Built in the 12th century by David I the abbey stands in a small secluded valley, its remoteness in keeping with the strict rules of the Cistercian abbey. It is one of the most impressive to survive. Mary Queen of Scots spent her last hours on Scottish soil in the abbey. Cross the English border at Gretna Green and visit Lochmaben Castle before pausing at Ruthwell to see the impressive Cross. 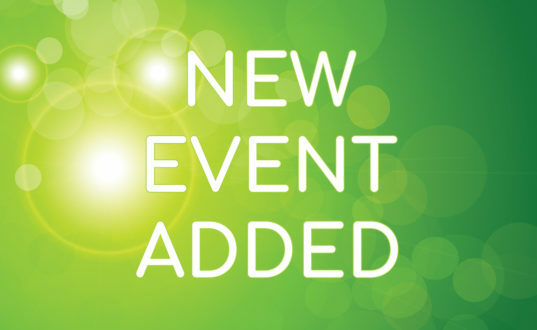 From there, explore Caerlaveroch Castle and then on to the historic market town of Dumfries. 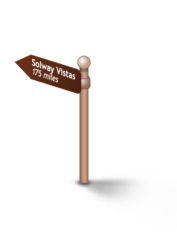 Heading down to the coast at Southerness Lighthouse, take in the Solway Firth views and the lovely Nith valley and coastal nature reserves, stopping at Sweetheart Abbey on the way. Then on to Threave Castle before ending at Dundrennan Abbey. An Area of Outstanding Natural Beauty (AONB) with rolling hills and views over the Solway Firth towards the Lake District. Apart from tourism this is hill farming and fishing territory with the Caerlaverock national nature reserve lying between the River Nith and Lochar Water being an important over wintering area for birds. In the 12thc David I ruled most of Southern Scotland, and under Norman influence established Abbeys, trade and a new legal system, all were to have an impact on the future of Scotland. He granted land to Norman nobles including the de Brus ( Bruce ) who built castles, and their descendants engaged in many border battles. Burns moved to Dumfriesshire to become a farmer and then to Dumfries where you can visit the simple sandstone house where Scotland's national poet spent the last years of his life. Visit St Michael’s church and see his impressive mausoleum or take a drink in his local the Globe Inn. The Robert Burns Centre is situated in an 18th century watermill on the west bank of the river.